“I find in the charter of King Edward the confessor…that the abbot of Ramsey should give to the abbot and convent of Peterburgh 4000 eeles in the time of Lent, and in consideration thereof the abbot of Peterburgh should give to the abbot of Ramsey as much freestone from his pitts in Bernack, and as much ragstone from his pitts in Peterburgh as he should need. “Clearly visible from the site, at an azimuth of 229°.22 is the lowest point of a low saddle on the horizon. The col, Fig.1 (above), subtends an arc of about 0°.67 of azimuth, observed minimum altitude 0°.21. For an estimated temperature of 44°F, correction for refraction at sunset is about 0°.54, and for solar and semi-diameter and parallax of respectively 0°.27 and 0°.002, the ‘observed’ declination is found to be -23°.92, which indicates a date of about 1860 BC. The folklore may indicate the possibility that these two medieval standing stones replaced earlier ones, but no remains of such relics exist today. Clarke, R. Rainbird, East Anglia: Ancient Peoples and Places, Thames & Hudson: London 1960. Gover, J.E.B., Mawer, A. 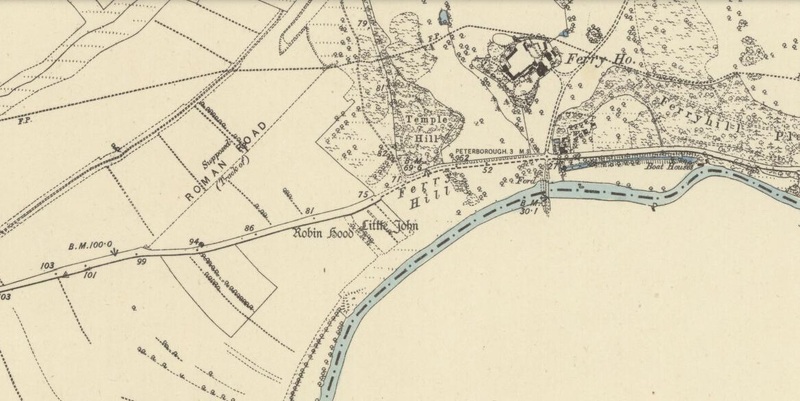 & Stenton, F.M., The Place-Names of Northamptonshire, Cambridge University Press 1975. Gunton, Symon, The History of the Church of Peterburgh, Richard Chiswell: London 1686. Mee, Arthur, Bedfordshire and Huntingdonshire, Hodder & Stoughton: London 1973. Morton, John, The Natural History of Northampton-shire; with Some Account of the Antiquities – 2 volumes, R. Knaplock: London 1712. Pryor, F.M., Prehistoric Man in the Nene Valley, Nene Valley Research: Peterborough 1972. Saunders, W.H.B., Legends and Traditions of Huntingdonshire, Simpkin Marshall: London 1888. Serjeantson, R.M. (ed. ), The Victoria County History of Northamptonshire – volume 2, London 1906. Thom, Alexander, Thom, A.S. & Burl, Aubrey, Stone Rows and Standing Stones – volume 1, BAR: Oxford 1990. 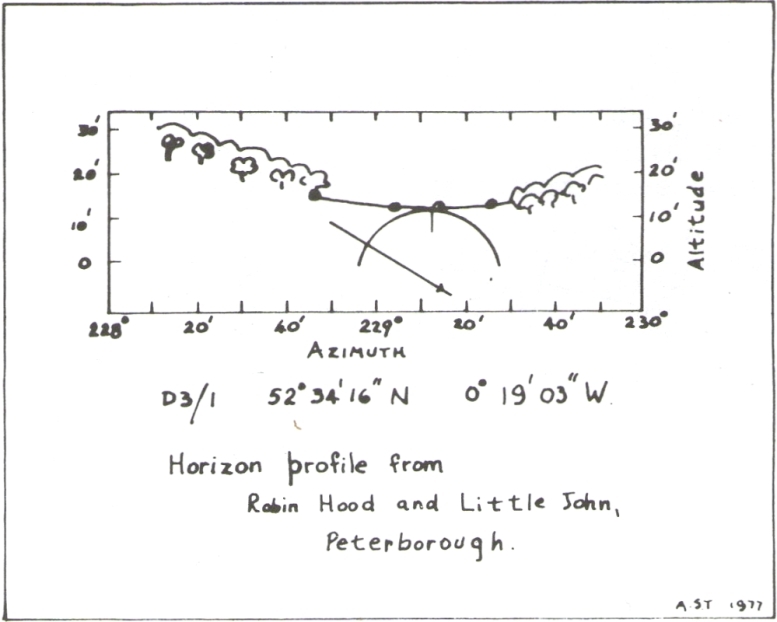 Thom, A.S., “A Solstitial Site near Peterborough,” in Journal of the History of Astronomy, 11, 1980. This entry was posted in Cambridgeshire, England (south), Northamptonshire, Standing Stones and tagged Ailsworth, antiquarian, antiquities, Archaeology, Cambridgeshire, Castor, earth mysteries, english heritage, folklore, legends, medieval history, megalithic, Megaliths, monoliths, Northamptonshire, Peterborough, Robin Hood, Standing Stones. Bookmark the permalink. I’ve seen an online picture of the Robin Hood Stone which appears to have a bowl like indentation on its top surface. A healing stone? Would that “source” you mention be Francis Pryor of Time Team fame ?